Age Bond: Only those candidates are eligible to apply whose age lies in between 25 years to 34 years. All candidates can apply by paying ZERO application fee. These application are free of cost. 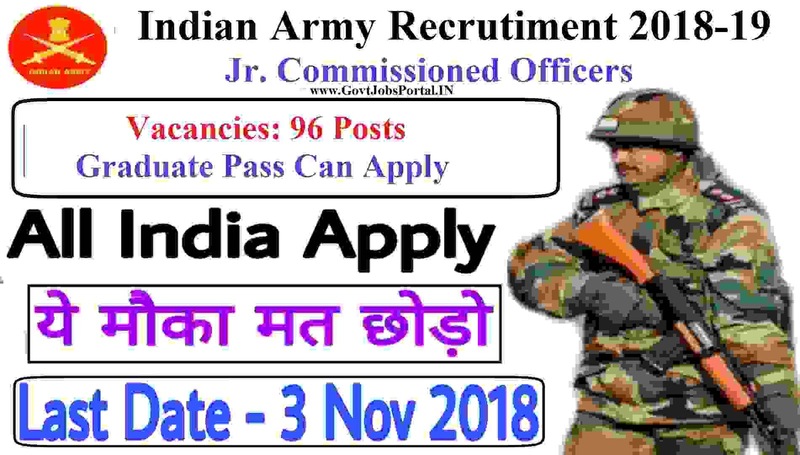 So if you are eligible for this Indian Army recruitment you can apply now by paying zero application fee. 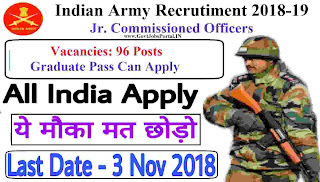 Applicants for these Army jobs in India have to apply online. The link is given under IMPORTANT LINK section for direct online application. This link will be activated on 5th Oct. 2018 and remain activated up to 3rd Nov. 2018. All interested candidates have to apply online between these dates. 5TH Oct. 2018 is the Starting Date to apply. 3rd Nov. 2018 is the Last date to apply.